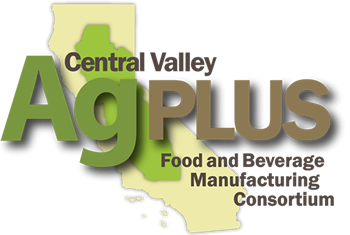 AgPLUS will increase trade literacy among KTS businesses in the Central Valley by expanding existing training models and services to the entire region. There are 4 CITDs in the Central Valley residing at community colleges in the Cities of Fresno, Merced, Redding and Sacramento. The Fresno CITD is the statewide food and agricultural hub. It currently offers its 6-session California Agricultural Export (CalAgX) training program to KTS businesses concurrently in the Cities of Fresno and Sacramento. Through the California State Trade and Export Promotion (California STEP) project, AgPLUS will expand the Fresno CITD CalAgX training program to other community colleges in the Central Valley including the CITD in Redding. Los Rios’ CITD’s USDA grant will be leveraged to provide regional ag export business and workforce training. The Northern California World Trade Center will develop an international business mentoring program, expand on Exporter Roundtable Series, and develop an online platform for easy access to export information and resources. Among other activities, the CalAsian Chamber of Commerce will provide customized and culturally sensitive outreach to communities of color and disadvantaged business enterprises (DBEs) in the Central Valley. These efforts will facilitate export promotion and expand markets, particularly to Pacific Rim Trade countries in Asia, for a greater number of KTS businesses. Along with learning about the requirements for exporting, KTS businesses, including SMMs, will be able to take part in inbound and outbound trade missions and foreign direct investment opportunities such as the EB-5 visa program.